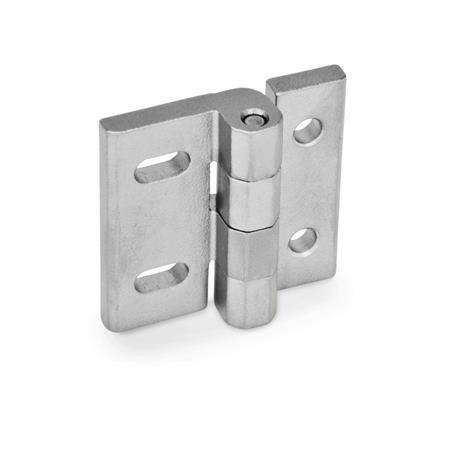 Depending on their shape, GN 235 stainless steel hinges can be adjusted vertically and horizontally along the cylindrical slots. They can be mounted for example using hex-head, oval-head or cylinder screws with a low head, which allows a full pivoting range of 180°. The hinge drill pattern corresponds with that of the GN 237 hinge family, which allows the hinges to be exchangeable.